The new Transformers movie is almost out. Paramount Pictures has released three new TV-clips of the action packed robot-flick called: ‘Destroyer’, ‘Help’ and ‘Forge’. 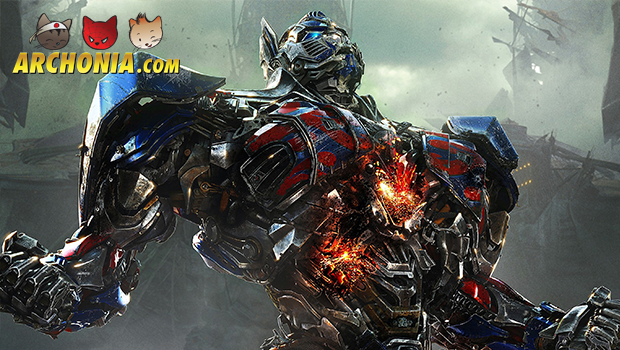 These new Transformers: Age of Ultron-videos contain a lot of explosions, fire spitting dinosaurs and Mark Wahlberg with an enormous alien gun trying to bring man and machine together to prevent human extinction. This situation is created by scientists who experiment with powers and materials they cannot control. Caught in the middle of all this are a car mechanic (Mark Wahlberg) and his daugther (Nicola Peltz). They have to survive the epic battle between the Decepticons, Autobots and some shady US government people. Previous Post : Star Wars Episode VII Millenium Falcon Stills Next Post : Terminator Genesis On Set Photos Revealed!